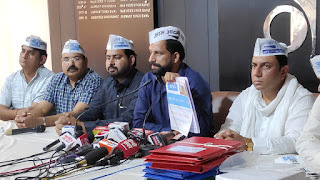 Chandigarh 31st October:- Indian panchayat organizations Bharatiya Panchayat Party is claiming to form its government with the support of the rural, backward and the youth, after registering a victory in assembly elections of five states. Party National President and the father of the amendment of the Land Acquisition Act Naresh Yadav believes that the present Central and State governments are working in the direction of the downfall of farmers, laborers and backward sections, thus along with the young brains, the country needs a new leadership. In a chat with us Naresh Yadav talked openly about the future plans of the party. Following are the excerpts of the questions related to an interview with him. Question: Why did you feel the need for forming BPP or what were the reasons that inspired you to form a new party ? Answer:- Since independence the plight of farmers, laborers, villages and panchayats and backward sections has remain unchanged. The Bharatiya Panchayat Party has been formed for solving these problems. Question: In which aspects do you feel the Central Government is in the wrong ? Answer: - From the time of our attaining independence till today, the Central Government has done nothing for providing the basic amenities in the villages. The Central and State government passed several budgets yet the villages where 80 per cent of our population lives, were left far behind in development. Both-the BJP and the Congress governments are responsible for this. Question: Even today the Aam Admi Party is working to strengthen its hold on the national level. How much time will it take for the BPP in this matter? Answer: - Like the former parties, Aam Admi Party too has been limited only to Delhi. The party has no aim. The Bharatiya Panchayat Party has the people of approximately 6 lakh and 38 thousand tri-level village panchayat organizations, farmers' organizations, workers bodies, youth organizations, minorities and Muslim Scheduled Tribes and it is a party of all religions and in the coming elections in five states the Bharatiya Panchayat Party will achieve the status at the national level. Question: During the time of elections several new parties are formed but soon after the elections these parties get engaged in the search for their existence. What do you think? Answer: - At the time of elections, new parties are formed in the name of caste and religion. After the elections, they merge in big parties because major parties are working on one ideology, only issues keep changing. Bharatiya Panchayat Party is a party of the whole society. It is fighting elections in five states on the issues of village and national development. Question: The election atmosphere in the country is such that on one side is the BJP and on the other the entire opposition. 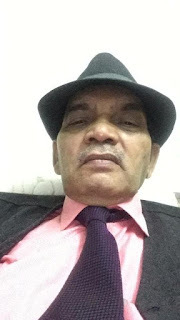 Do you feel that the unity that the opposition talks of, is going to affect the BJP in any way because we have seen the condition of the major alliance earlier. Answer:- The opposition parties have failed to fulfill the role of opposition because many people have deserted the Congress and have been elected as BJP MPs. As both the parties have similar mentality, there is no strong opposition. The country is still very backward in the issues Gram swaraj, development of farmers, employment for youth, wages of workers, women empowerment and education. And to fulfill the role of a strong opposition and for making government of the villages, this time the people of the nation and the panchayats are collaborating and the Bharatiya Panchayat Party has become a strong opposition. Question: How do you see Amit Shah's policy of including the opposition leaders in the BJP? Answer: - The people of same ideology are in the BJP and the Congress and to weaken the country, leaders of both the parties are joining each other. Instead of developing the nation, these forces are working to destroy the country. Due to the similar mentality of both the parties power has not been decentralized since independence. The dream which Mahatma Gandhi ji had seen and the promise of gram swaraj and socialism made to the people of the country has not been fulfilled yet. Question: Don't you feel that the Modi government finds some positive things even from the opposition against it? Answer:- Modi ji has gathered all the unsuccessful people with him. The whole country is watching the outcome of the centralization of political corruption that has happened in the country today. Instead of democracy there is autocracy in the country, the outcome of which former chief justice T S Thakur has lamented about, and has spoken about saving the four senior judges of the Supreme Court. Corruption has reached its zenith evening the CBI. Inflation, GST, demonetization have broken the country's back. Every hour four students, farmers, youth and workers are committing suicide. The promises made before the people of the country in 2014 have all been proved hollow, and besides this the borders of the country have also weakened. An aspect of international diplomacy is that the American President Donald Trump rejected the invitation for January 26. All these are the positive aspects of the nation's watch guard Modi ji. Question: If BPP succeeds in upsetting the BJP- Congress equation, then what will be the party's next step? Answer: - Bharatiya Panchayat Party candidates are sure to register victory in the assembly elections of five states. In some states bill will be brought on development of villages on the basis of population, education, unemployment, compulsory education for the farmer, drinking water and in the Lok Sabha elections to contest with those who make false promises, good and true candidates will be fielded to bring them into the Parliament House and a beginning will be made for politics of novel change. Question: You claim to form the government with victory in the next elections. In case that does not materialize, who will the BPP support? Answer: - The Bharatiya Panchayat Party will win in five states and will not support anybody. The Bharatiya Panchayat Party welcomes any party which has concern for about the 80 per cent of the population of the country and desires the development of villages, unemployed, farmers, landless, Dalits, tribals etc. with equal rights . One thing is clear that the Bharatiya Panchayat Party will not support anybody. Question: What plans the party is working on to strengthen itself as there is not much time left for the Lok Sabha elections? Answer: - Work has been going on for several years to strengthen the Bharatiya Panchayat Party. The party has been working for many years at the level of village panchayats. No government has worked on issues like village development. On such issues the Bharatiya Panchayat Party is there in the villages. The party organization is working in the whole country. Along with the Assembly elections, crores of party workers are busy preparing for the Lok Sabha elections too. Soon Bharatiya Panchayat Party is going to bring a government of youth and farmers. Question: Will Bharatiya Panchayat Party be seen in the list of major parties in the future? Please keep all the equations in mind while replying. Answer: - The Bharatiya Panchayat Party will soon achieve the status of a national party and will be a better alternative than the major parties in front of the people. 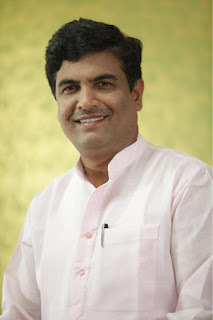 Our party will emerge as a better alternative in the Lok Sabha elections and with these elections Bharatiya Panchayat Party will also achieve the position of a national party. Chandigarh 31st October:- The 6th Edition of the Chandigarh Sports-13 Cyclothon is being held on 11th November & 100 professional cyclists are coming from all over India to participate in this mega cycling event. Chandigarh Tourism in association with Avon Cycles is hosting the mega Cycling event; Sports 13 is the Company which has conceptualized the event. A Media Briefing was held to share information about the arrangements that have been made for the Cyclothon. Jitender Yadav, Director Tourism,UT, Mandeep Pahwa, Executive Director Avon Cycles, Capt Narinder Singh, IAS, Advisor Sports 13, Yadvinder Singh, CEO, Sports-13 and Kiran Kaur, MD, Starbiz India Entertainment were present in the press meet. Jitender Yadav, Director, Tourism UT, said that Chandigarh is a very cycle friendly city and has cycle tracks made along with the roads covering almost all sectors. These features make the city an ideal locale for hosting cycling events.The main attraction of the event will be the Pro Race, which is competitive in nature and it will cover a distance of 55.5 Km and an Amateur Race (competitive) which will be for 29.6 Km distance and people above 18 years can participate. In the Non Competitive section a 3.7 Kms 'School Ride' for School Children above 11 years and a 7.4 Km 'Fun Family Ride' for all men & women above 18 years of age will be held. Yadvinder Singh, CEO, Sports 13 said that the race will start at 5.45 AM and the route taken in both the competitive as well as non competitive segments will be the same. The cyclists will be flagged off from Janmarg (Bus Stop), while the assembly point will be on Jan Marg (Pavement towards Matka Chowk). Before the main event on Sunday, 11 November, an Expo will be held on Friday-Saturday (9th and 10th November, 2018) at Leisure Valley, Sector 10 between 10 AM to 8 PM. Target audience for the event will be Youth, Kids, Defence, Senior Citizens, Tourists, Ladies, Corporate and Govt employees, General Public, Businessmen, Elite Families, VIPs, College/ University Students, Club Members and Celebrities. Mandeep Pahwa, Executive Director Avon cycles said that Avon Cycles is the leading bicycle company in India and at present we are manufacturing around 12,000 bicycles a day and a vast product range with 190 different models for everyone. Avon cycles always takes initiative to spread the message for clean environment through use of bicycles as a means of transportation and we are happy to be a part of the 6th Cyclothon. The participants will be provided first aid facility, give-aways and refreshments. The total prize money for the winners is Rs 3 Lakh (for Competitive Races Only). There will be proper security and utility arrangements during the event. Kiran Kaur, MD, Starbiz India Entertainment and Capt. Narinder Singh, IAS - Advisor Sports-13 also addressed the media. Capt. Singh said, "The event will be telecast on Epic TV. The Cyclothon is to present a platform to the people where they can show their concern for their Mother Nature moving away from their hectic lives. We want to encourage people to use cycles over motor vehicles to save environment. A unique aspect about the Cyclothon is that it's theme will be against corruption, in keeping with ongoing Vigilance week. Chandigarh 31st October:- Amway India, the country's largest FMCG direct selling company has announced the expansion of its consumer durables by foraying into the air purification category. To mark its entry in the segment, the company has identified passenger vehicles purifier as the first product within the category. Recognizing the ever-increasing need for an effective air purifier for passenger vehicles, Amway has launched India's first and only Car Air Treatment System with the Allergy UK Seal of Approval ATMOSPHERE DRIVE™2.With a Clean Air Delivery Rate (CADR) of 30m3/hr at its max speed, the Atmosphere Drive™ system purifies the air and reduces three hundred and 13 different gaseous contaminants. Commenting on the Car Air Treatment System launch, Sundip Shah, Chief Marketing Officer, Amway India, said that the ever-increasing pollution and worsening air quality has acquired threatening proportions in India. Infact, the air quality inside a car can be up to 15 times worse than the air outdoors3. With many people spending a lot of time in the car during their daily commute, the launch of the ATMOSPHERE DRIVE™, will prove to be an essential requirement for all commuters in India in the coming years.We are quite bullish about the growth of the ATMOSPHERE DRIVE™ and aim to capture a major share of the car air purifier market share in India. Speaking on the launch of the Car Air treatment System, Ajay Khanna, Category Head, Nutrition &Wellness, Amway India, said that the Atmosphere Drive™ Car Air Treatment System is a world-class, self-installed in-vehicle air treatment system that leverages the proven Atmosphere™ brand filtration technology to provide users with , safer air inside their vehicles. Using its unique three-in-one filter, the unit maintains a high level of industry performance by effectively removing 99% of airborne particles. The Atmosphere Drive™ System boasts of effective performance while operating quietly and efficiently. Its sensory technology allows for auto mode operation while driving and reacts and provides real time air quality reading. It also has a smart chip technology for effective filter life monitoring which indicates when to change the filter. The British Allergy Foundation is a medical charity that works with manufacturers worldwide to test and promote the benefits of products and appliances which may be of benefit to people affected by allergies. Products that receive the Seal of Approval, such as the Atmosphere™ Air Treatment System, have been through scientific testing carried out by an independent laboratory to protocols that have been created by leading allergy specialists. The Atmosphere Drive™ Car Air Treatment System is sold exclusively by Amway Direct Sellers throughout the region. Chandigarh 31st October:- Dr. Rajendra Prasad, ex-Prof. & Head, Department of Biochemistry, PGIMER, Chandigarh, delivered "Dr. V. R. Khanolkar Oration" of National Academy of Medical Sciences (NAMS) at Mahatma Gandhi Medical College, Puducherry. This is a prime oration of NAMS in the memory of Dr. V. R. Khanolkar who was the father of Pathology and medical research in India. Dr. Rajendra Prasad delivered a talk on 'Molecular and functional basis of cystic fibrosis: Genetic, diagnostic and therapeutic implications'. Cystic fibrosis is a severe autosomal recessive genetic disorder of chloride conductance due to the mutation present in the CFTR gene. CF is associated with variety of spectrum of phenotypes i.e. respiratory tract infections, pancreatic insufficiency, meconium ileus and male infertility due to congenital absence of vas deferens. It is very common in European population with prevalence of 1:2500 with carrier frequency in 1:25. At PGIMER, Chandigarh, cystic fibrosis patients were diagnosed clinically, biochemically alongwith genetic analysis. A wide spectrum of mutations were found. However, DF508 mutation was most common mutation in the Indian population. Identified novel mutations were also functionally characterized to elucidate the underlying molecular and cellular defect. Recently developed magic molecules (correctors and potentiators) were used to restore the functional activity of underlying defect for the treatment of cystic fibrosis. It is worthy to mention here that these molecules are also FDA approved and in use for human clinical trials for the treatment of cystic fibrosis. 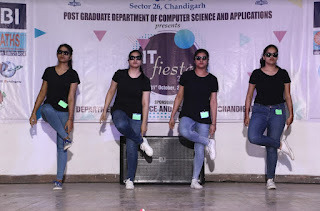 Chandigarh 31st October:- The Post Graduate Department of Computer Science and Applications of Guru Gobind Singh College for Women, Sector-26, Chandigarh in collaboration with DST (Department of Science and Technology), Chandigarh Administration organized IT Fiesta to promote awareness of Science and Technology amongst the youth. Students from 20 colleges from in and around the city participated in this event. 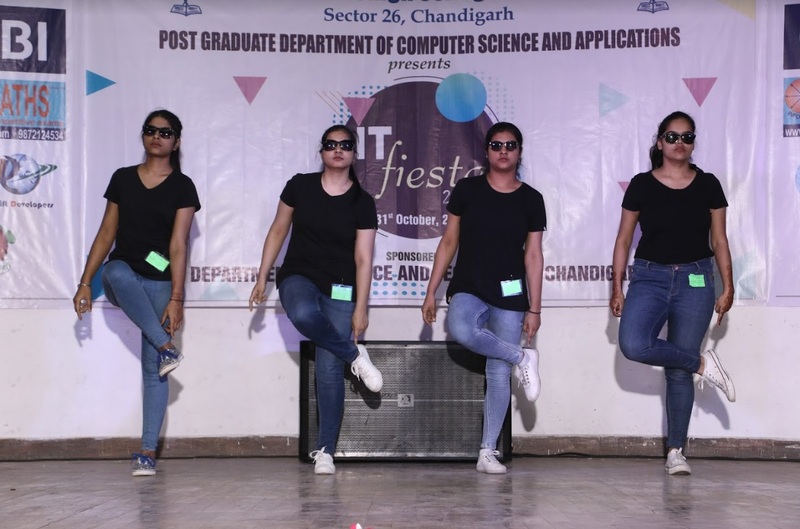 Various competitions like Website designing, Debate, Cartooning, Software Development, Rangoli, Collage making, Software Debugging, Face Painting, Group Dance and e-Waste Modelling were held. Students enthusiastically participated in Presentation designing. There was also a dance performance which symbolized the fusion between technology and entertainment. Dr. Karamjeet Singh, Registrar, Panjab University was the Chief Guest for the event. He notified that it is the time of Artificial intelligence but do not let it overpower you. He motivated girls to excel in a versatile manner. S. Gurdev Singh Brar President SES, S. Kulbir Singh Vice President SES and S. Karandeep Singh Cheema Joint Secretary SES were the Guests of honor for the event. S. Kulbir Singh was there to inspire students during the Valedictory Ceremony and gave away the prizes. He congratulated College and Department for organizing such an event and stressed on the importance of such competitions. College Principal, Dr. Jatinder Kaur appreciated the efforts of Computer Department and encouraged students to participate in such events to excel in all fields of life. Chandigarh 31st October:- Nirwana Greens has always been committed towards the social responsibilities along with its primary objective of providing quality homes to people. As a part of their responsibility, Nirwana Greens organized "Mission 666" a mission to plant 666 trees on a single day at Khanpur Village. The Objective of the plantation drive was to provide natural shade by increasing the green cover which will help in reducing heat and improving air quality. The Chief Guest for the occasion was Nishi Bhatnagar, DGM, SBI, REHBU, LHO, Chandigarh. The Guest of honour were RJ Meenakshi & RJ Geet from 94.3 My FM and MJ Vishesh from 92.7 Big FM. There was a huge public participation to support the cause and people planted trees for making a green tomorrow. 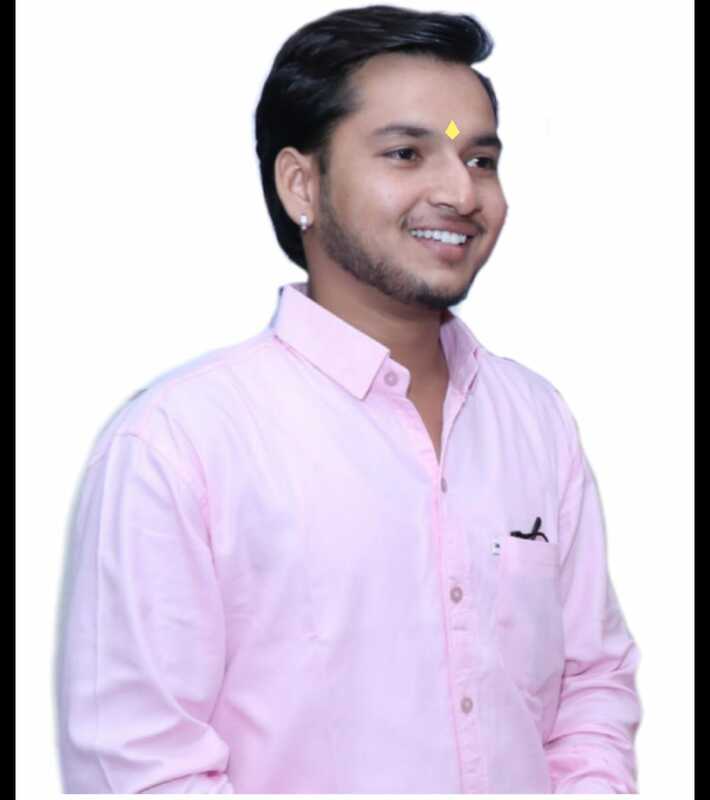 Sumit Goyal, MD, Nirwana Greens, said that Nirwana Greens has always been committed to social responsibilities and taking this commitment to the next level we organized 'Mission 666' for planting 666 trees on a single. Normally we have seen that the trees are planted but due to the improper care, they die. We will take care of all the trees planted by us and aim to plant 20,000 trees till the year 2022. Nishi Bhatnagar, DGM, SBI, said that every day should be treated as Van Mahotsav and plants should be grown to keep the environment green, clean, safe and healthy. RJ Meenakshi 94.3 My FM, said that there is a lot of stubble burning happening around us and loads of campaigns are being run to stop the same. This increases the pollution and hence causes a lot of problems for people amongst us. Tree Plantation is one of the most effective ways to curb the ill effects of pollution. Three cheers to Nirwana Greens for such a wonderful initiative. RJ Geet 94.3 My FM, said that today the world is facing global warming issue and Siachin glaciers are melting day by day. He truly believe every small step by each of us will bring a change and Nirwana Greens has taken a very beautiful step. He is Thankful to Sumit Goyal for making me a part of Mission 666. MJ Vishesh 92.7 Big FM, said that it feels very great to breathe the fresh air and live in the green environment but this is possible because someone took a step way before. Today it's our duty to plant more and more trees as giving a good environment to our future generations is also our duty. Nirwana Greens has organized a wonderful drive and he is proud to be a part of Mission 666. 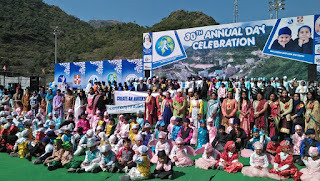 Chandigarh 30th October:- The 30th Annual Function of Akal Academy, Baru Sahib was celebrated with great zest and enthusiasm today with Anil Kumar Khachi, additional finance secretary of Himachal Pradesh as the chief guest and Jaspal Singh, Justice, Haryana and Punjab high court as the Guest of Honor. The programme began with the lighting of the ceremonial lamp by the Chief Guest, Guest of Honour along with the Principal, Dr. Neelam Kaur followed by the soulful rendition of a 'Shabad'. Dr Davinder Singh, Director, Akal Academy Schools extended a warm welcome to all the dignitaries. 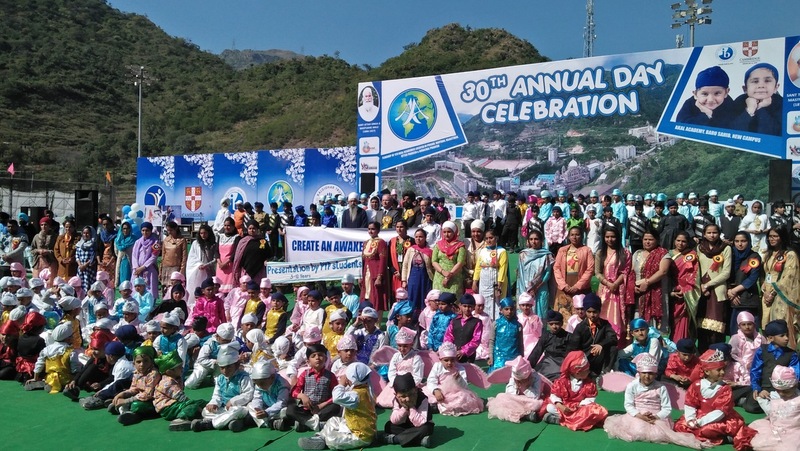 He congratulated all teachers, parents and students for the completion of thirty years of the Academy.He said that the academy which was started in 1986 with only 6 children by Baba Iqbal Singh today has 1500 students on its roles coming from 11 countries of the world and 36 Indian states. Akal Academy Baru Sahib today is a flagship school of 120 Akal Academies located in rural areas of 5 states, Himachal Pradesh, Haryana, Punjab, Uttar Pradesh and Rajasthan. Our mission is to impart values to students based on spiritual teachings and make them tolerant, patient and have love and compasison for people with all faith and atrocities. Series of wonderful events began unfolding which left the audience awestruck. Talk Show on Save Energy, English Drama titled King Lear, Skit on 'Mera Punjab' enthralled all present on the occasion. The proficiency with which the children displayed their skills and talents left the parents overjoyed and overwhelmed with emotions. Chief Guest, Anil Kumar Khachi showered his blessing to all students and exhorted children to accept the challenges with redoubled vigour. He appreciated all performances of the day and lauded the efforts of the School Management for their pragmatic approach. He also appreciated the emphasis of the school for inculcating lifelong learnings, positive engagement within the community and develop leadership skills among the students. School Principal, Dr. Neelam Kaur briefed the audience about the annual report highlighting the academic achievements of the school students. She honoured the students with prizes for various academic and non-academic activities. 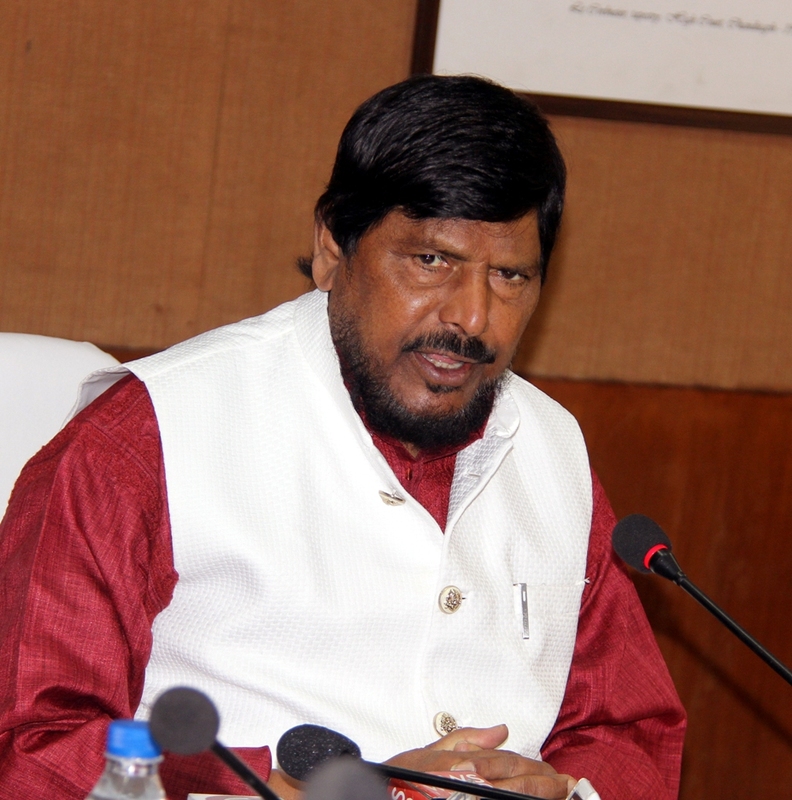 Chandigarh 30th October:- Ramdas Athawale, Hon'ble Minister of State for Social Justice & Empowerment, Government of India visited Chandigarh today to discuss the schemes and issues relating to Scheduled Caste, Other Backward Class and Persons with Disability. The Hon'ble Minister held a meeting with the officers of the Social Welfare Department, during which Secretary Social Welfare, UT, Chandigarh was also present. The Director Social Welfare welcomed Hon'ble Minister on behalf of the Chandigarh Administration and briefed him about the schemes and issues relating to the SC/OBC. Hon'ble Minister was also apprised that Chandigarh being a small city state, the number of cases of atrocities against SCs is quite negligible. Regarding payment of relief/compensation to the victim of the atrocity, it has informed that a clarification has been sought from Government of India, but reply in the matter has not been received, so far. The Hon'ble Minister assured that the reply in the matter from Government of India will be sent shortly. It has also informed that during the year 2018-19, funds amounting to Rs.40.00 Lakh received from the Government of India for the scheme Inter-caste Marriage have been fully utilized. Further it was shared that approximately 21,000 beneficiaries are getting social security pensions under different pension schemes viz. Old Age/ Widow/ Disabled / Dependent Children of Widows/Destitute Women. State Liaison Officer of Scholarship Schemes informed the Hon'ble Minister that funds amounting to Rs.12.00 Crore (approximate) under scholarship schemes relating to Scheduled Caste/Other Backward Class have not yet been received from Government of India. The Hon'ble Minister has given assurance for an early release of pending funds under Scholarship Schemes. Chandigarh 29th October:- To celebrate 'Pink October' as Breast & Cervix Cancer Awareness Month, Sahayta Charitable Welfare Society, organized a 'Breast Cancer Walkathon', at Sukhna Lake here. Shashank Anand, SSP, Traffic and Security, Chandigarh flagged off the walkathon. Hundreds of people from different strata of society took part in the event, to show their support for the cause of spreading awareness to curtail spread of breast cancer & for its early detection & treatment. The list of participants included cancer survivors, senior doctors from PGIMER and Government Hospital, Sec 32, Principals & students of various colleges like IQ Institute and schools like St. Kabir, Carmel Convent, Strawberry Fields, St. Stephen's, St. Joseph etc. Apart from this teachers from St. Johns also took part in the walk. Lt. Col Neelam Thakur along with her NCC Cadets from Army, Air Force and Navy Wings, Army Generals, Veterans and army wives were also part of the walk. Members of NGO's like Triya- Spend For a Cause, Rotary Club, Inner Wheel Club also walked for the cause. SBI Ladies Club, Chandigarh Senior Citizens Association, members of High Court Bar association, CESA- Carmel Ex Students Association, World of Women Architects and aware citizens of the Tricity , participated in the Chandigarh City 'Pink Walk'. It is noteworthy that a doctor's corner was set up to answer the queries of the public. The theme for breast cancer awareness month is 'Breast Self Examination-a Step Towards Surviving Cancer' and 'Early Detection is your Best as well as breast Protection'. According to Renu Saigal, President, Sahayta Charitable Welfare Society, & who is also a cancer survivor said that October is a significant month for women living with breast cancer. This month, fondly described as 'Pink October' is celebrated all over the world as Breast Cancer Awareness Month and is also a prime opportunity to remind women to be breast aware for early detection. The pink looped Ribbon is an internationally recognized symbol for breast cancer. People buy pink ribbons to honour women living with breast cancer, remember those lost to the disease and at the same time support research for cure. It is pertinent to mention here that the colour 'pink' signifies that with early detection and prompt treatment, every woman has a chance of returning to the 'Pink' of health. The importance that October has for breast cancer awareness can be gauged from the fact that historic landmarks and monuments all over the world are illuminated in Pink in October, to focus worldwide attention on breast cancer awareness. Chandigarh 29th October:- Second Innings Association conducted a joint talk on say #NoToAbuse against elderly at Le Corbusier Centre, Chandigarh. The main aim of the meeting was to express the abuse being faced by the elderlies. Help Age India also provided the helping hand to the event by showing a movie and creating awareness amongst those present about speaking up when they are being abused. S S Lamba, patron of Second Innings Association, commenced the program with his welcome address and apprised the audience about the importance of the event. He emphasized that every second senior citizen is subject to abuse be it mentally, physically or financially. He asked the members present to speak up in case they had gone through any such abuse. Thereafter the President of Second Innings Association, R K Garg, who is also a well known RTI activist interacted with the audience. He said that speaking about the abuse is difficult as it involves personal repute and prestige of elderly, so in order to address such personal matters and discussion, a panel is being formed where the senior citizens can discuss their issues. He assured that all such abuses/harassment etc. shall be reported to appropriate authorities for necessary relief to the victims. He also proposed a memorandum of demands of the senior citizens from Chandigarh Administration. The memorandum was discussed at the meeting and after the consent of the members the same is being submitted with UT Administrator, V P Badnore for necessary instructions and orders. SIA also engaged a volunteer Advocate Vinay Jinghan who assured to provide the legal remedies to the senior citizens who find themselves being abused but could not speak up till now. A counselling committee was also formed in name of "My Counsel" especially for senior citizens where they can share their incidents of being abused against proper remedies would be provided. Thereafter Deepika Gandhi, Director of Le Corbusier Centre also addressed the members present and discussed the issue of abuse to elderly in details. She apprised regarding the type of abuses generally faced and small measures to stop and cure such abuses. She assured her full cooperation and support to this initiative of SIA. She also announced the Twitter handle #NoToAbuse where the elderlies could post their issues. Chandigarh 29th October:- Steffy Records, Punjab today entered the Punjabi music scene with a big bang. The music company launched its first ever track Jaaniya my Haaniya here today. Sung by Hardy S, the teaser video of the mesmerizing song was released today. According to the producers, "Jaaniya my haaniya" tells the story of love, separation and pain. The video stars Bhavesh Pahadiya who is making his debut with this beautiful song. Besides Pahadiaya, actresses Angel Kapoor and Oomaira yadav have lent even more beauty to the song. The song is directed by Sahil Mahala who has directed numerous songs like WhatsApp with Amrinder Bobby & Sara Khan and also films like Appan Velle. Mahala is slated to make his bollywood debut as a director with movie "Love Tree". This song also marks Gurpreet Mahala @ Bittu sherkhan debut as a producer. Chandigarh 29th October:- After roaring success of the Super Dancer franchise, Sony Entertainment Television is geared up for yet another exciting season of the popular show. Super Dancer Chapter 3 will give an opportunity to young dancing aspirants between the age group of 4years – 13 years who stand a chance to become, 'Dance Ka Kal'. Opening its doors to the new generation of young dancers, who dream of making it BIG on the small screen, Super Dancer Chapter 3 started off its multi-city auditions for this season and reached Chandigarhtoday. The city participated whole heartedly and the auditions witnessed the enthusiasm of aspirants in huge numbers who put their best foot forward and showed off they dance skills. Super Dancer Chapter 3 will see the terrific trio–Shilpa Shetty Kundra, Anurag Basu and Geeta Kapoor back as judges on the show with Ritwik Dhanjani and Paritosh Tripathi as the hosts. Once selected in the top talent, each contestant will be paired with a choreographer guru who will guide, nurture, mentor and introduce these young dancers to new dance forms, preparing them for the coveted title. The auditions will be held across 11 cities-Jaipur, Vadodara, Guwahati, Ranchi, Kolkata, Lucknow, Nagpur, Chandigarh, Indore, Delhi and Mumbai starting 24th October to 24th November, 2018. Chandigarh 29th October:- A Solar Power Plant has been set up at Ankur School, Sector 14, which was inaugurated by Prof. Raj Kumar, Vice Chancellor, Punjab University. 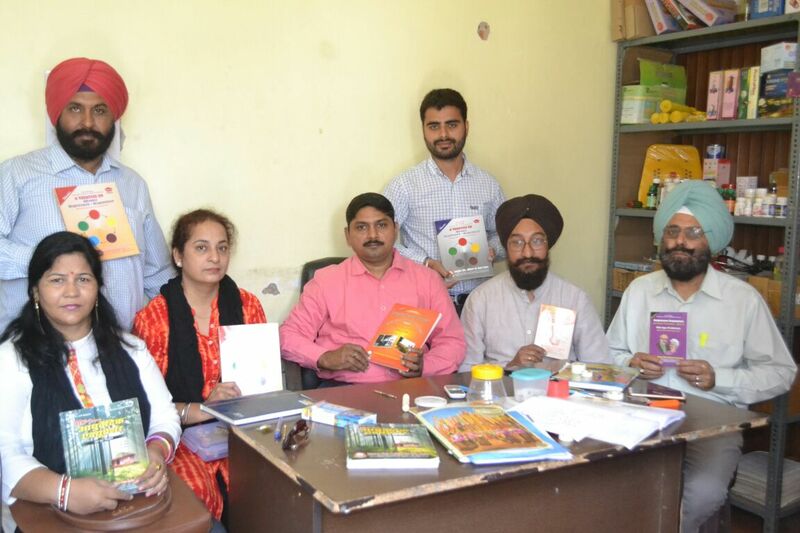 During this, the School Management Committee's President Kusum Singh, Principal Dr. Parminder Duggal and Committee member Prof. (Dr.) AK Sahajanpal, Dr. Anil Kumar, Dr. SK Mehta and Dr. Ramesh were also present. Solar power plant installed in the school premises is 25 KVP which is capable of generating about 100 units per day electricity. With the establishment of Solar Power Plant in the school, the school will now be able to fully control the consumption of power. Solar Power Plant has been established at Ankur School in Panjab University campus, from which it will become the first education institute in Punjab University. On this occasion, Prof. Raj Kumar, Vice Chancellor of the University of Punjab said that establishing a solar power plant in the school and preserving energy (power) is a commendable step towards school management. He congratulated the School Management Committee for setting up this project. 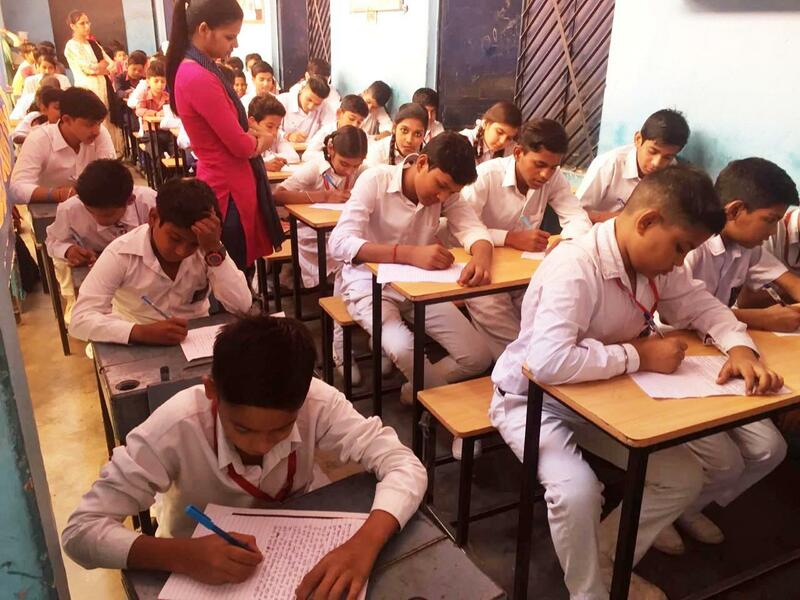 On this occasion, the school's Principal Dr. Parminder Duggal said that during the use of renewable sources of energy in the school, the students were always being educated through the syllabus. Establishing a Solar Plant in the school is a living example of saving energy for the students. This effort will not only preserve energy but also give the student a clean environment.